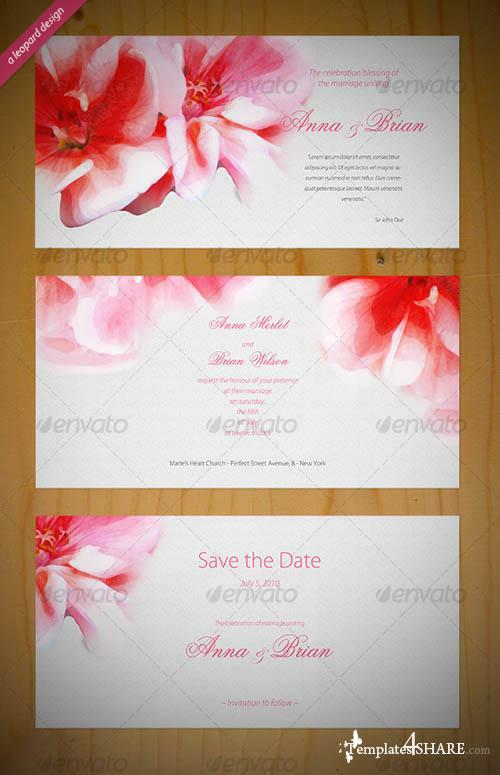 A Beautiful watercolor wedding invitation and save the date card. Photoshop ready-made template. 300 dpi / CMYK .